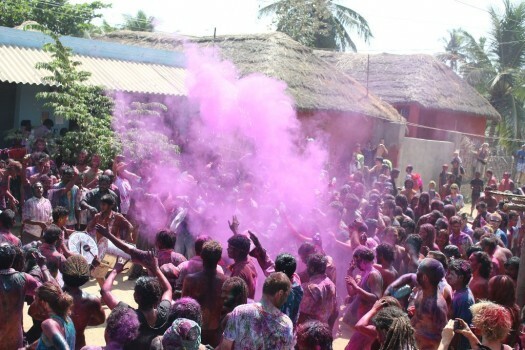 Holi – the festival of colours is the wildest festival in India. 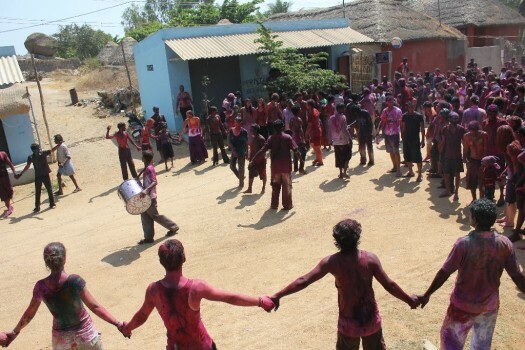 Like all other festivals even Holi symbolizes the victory of good over evil, but along with that this festivals also marks the end of winter and arrival of spring. 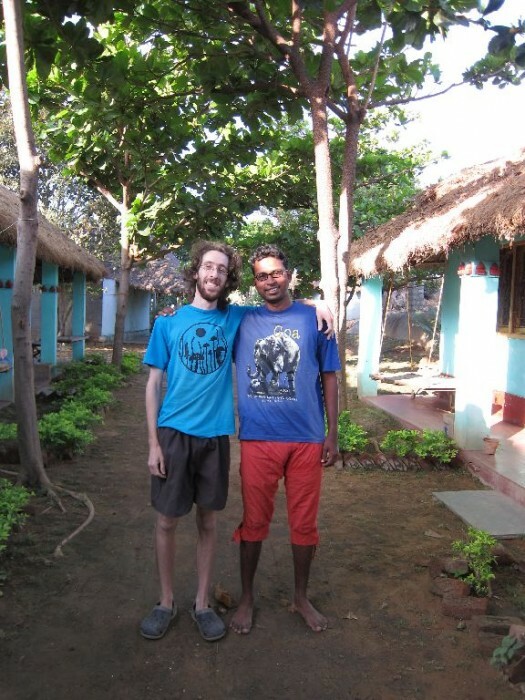 And since this week’s #Frifotos theme is spring, what a better way to welcome spring than showing you how I soaked in the colourful atmosphere in Virpapur Gaddi – a small village across the river from Hampi. Though most of the India celebrated Holi on the 8th March this year, in Virpapur Gaddi there were A4 size invitations stuck up outside most of the shops inviting one and all to celebrate festival on 09th March. 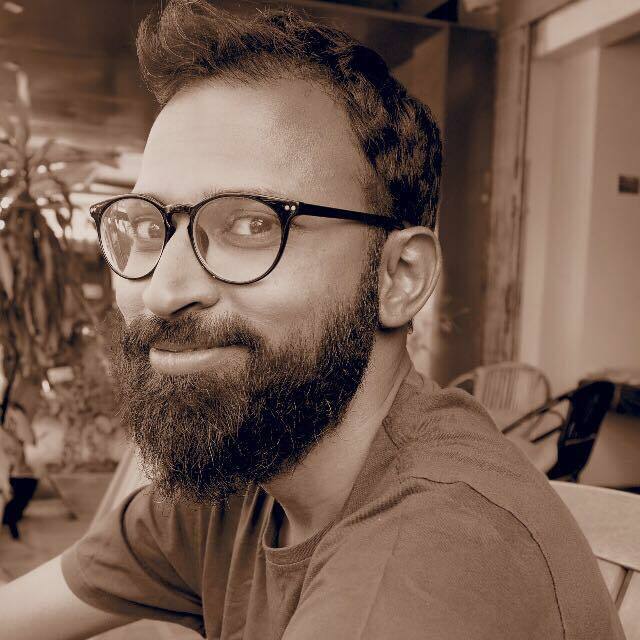 I had initially planned to leave Hampi early morning of 09 Mar to attend a cousin’s wedding 600kms away but then changed my mind and decided to stay back to celebrate Holi with fellow travellers. The first thing I had to do to celebrate was to buy some cheap clothes that can be disposed off after celebration. I am carrying only 4 shirts/tshirt and 2 trousers and did not want to spoil any of them on Holi. I ended up buying a faded tshirt for a hundred rupees ( my neighbours at guest house got the same tshirt for fifty the previous day. Damn!!!) and pair of ridiculous looking shorts for another fifty. I wanted to take my camera out but was afraid of getting my 3 month old DSLR spoilt. Also taking it out would mean missing out on most if not all of the fun which was a real bad bargain for a few pictures. But, worry not I did get to take some pictures. 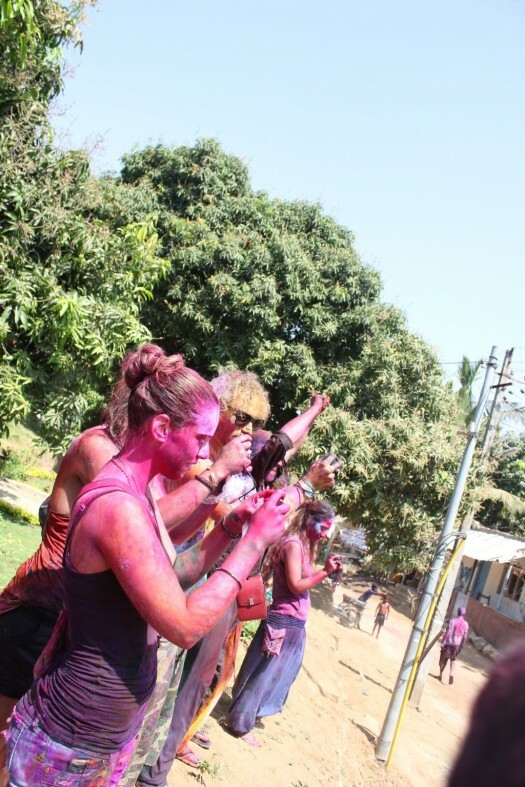 We got out of our guest house and you could see a group of 4-5 people standing every few meters who attacked us with colours as well as coloured water. But we too were armed with our arsenal and gave them a good fight. This went on for an hour during which a considerable amount of crowd had reached the designated meeting place from where the revelries would begin as well as stocked up on colours and coloured water. After the a good amount of crowd had gathered the men with dhols (a drum that’s hung around the neck) made their entrance and the crowd went wild. I thought Indians street dance ( the dance for any and every occasion which involves moving and grooving whichever way you like ) was crazy but when westerners added their own flavour to it, it went wilder. The crowd danced their way while following the percussionists and thus the procession began from one end of village to the other and back to where it all started. When the procession was near my guest house I quickly went to my room and got my camera to capture a few pics. By the time the procession reached my guest house Holi was being played for more than a couple of hours I guess, but one guy managed to stay clean. Needless to say as soon as a local spotted him he was attacked. There were the village kids who enjoyed sat on the shoulders of the tourists and enjoyed themselves along with some tourist kids who also shared the same pleasure. Once the procession moved to a bit of an open space a people started creating a circle for the dhol guys to get into the center and beat it loud. But soon enough it was all mayhem and the circle turned into another gathering of crowd with everyone throwing colours into the air and dancing their way to madness. And after some more dancing the procession once again made its way back to the river for a final few minutes of dance on the river banks where it all came to an end. We too made our way back to our guest house and took a few post celebration pictures. 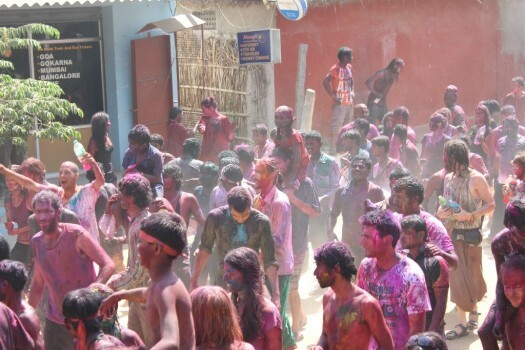 And that was the end of the Holi celebrations. 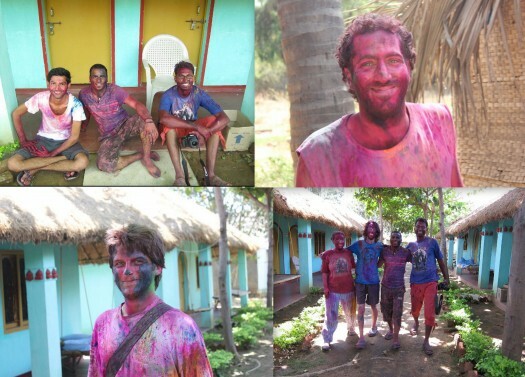 I had celebrated Holi after almost a decade and it was the most memorable Holi ever as well as a fantastic way to usher in spring!